mikenova shared this story from Reuters: World News. ISLAMABAD (Reuters) – Pakistan and Iran aim to increase annual trade volumes between the two countries to $5 billion by 2021, Pakistani Prime Minister Nawaz Sharif said on Saturday. mikenova shared this story from NYT > World. 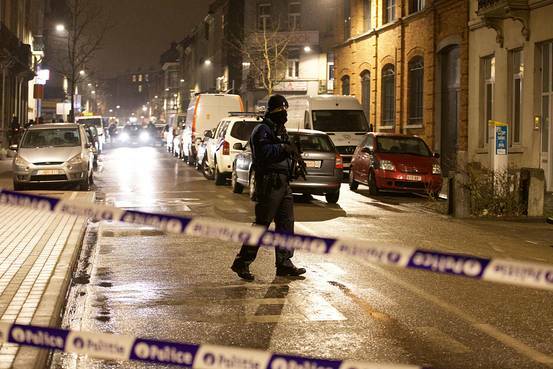 A man identified in the Belgian press as Fayçal Cheffou has been accused of terrorist murders. The authorities say he was deeply involved in the plot. mikenova shared this story from World. Iran’s President Hassan Rouhani says Tehran is not interested in maintaining tensions with Saudi Arabia and responded positively when Pakistan tried to mediate between the two rivals. mikenova shared this story from World News – Breaking international news and headlines | Sky News. Palmyra, affectionately known as the “bride of the desert,” used to attract tens of thousands of tourists every year. mikenova shared this story from NYT > World. The pilots turned off autopilot, A Russian state television said, said the pilots turned off autopilot but may have accidentally turned on a stabilizing fin, leading to a loss of control. mikenova shared this story from World. Russian President Vladimir Putin’s spokesman says “hysteria” in Ukraine and the West over imprisoned Ukrainian pilot Nadia Savchenko is interfering with resolving her court case. mikenova shared this story from World. Spanish police say they have busted a drug-smuggling ring and arrested 20 people from four countries on suspicion they were using helicopters to bring hashish from Morocco into Spain. mikenova shared this story from Radio Free Europe / Radio Liberty. An air ambulance helicopter crashed in southern Iran, killing all on board, Iranian media reported on March 25.
mikenova shared this story from BBC News – World. A high-ranking US Navy captain is sentenced to nearly four years in jail for passing classified information to a Malaysian defence contractor. mikenova shared this story from BBC News – World. Paris attack suspect Salah Abdeslam, arrested last week in Brussels, refuses to speak following Tuesday’s attacks in Belgium’s capital, prosecutors say. mikenova shared this story from Radio Free Europe / Radio Liberty. U.S. President Barack Obama will meet with NATO Secretary-General Jens Stoltenberg at the White House on April 4, the White House announced on March 25.
mikenova shared this story from BBC News – World. Will Clinton bring parties together on counter-terrorism? » Analysis: Obama stirs calls for change in Cuba. Can it last? mikenova shared this story from Reuters: World News. BRUSSELS (Reuters) – A third man caught on CCTV footage with two bombers who attacked Brussels airport on Tuesday was named as Faycal Cheffou in Belgian media on Saturday. mikenova shared this story from World News – Breaking international news and headlines | Sky News. A man identified as Faisal Cheffou has been charged with terrorist murder after the Brussels attacks which left 31 people dead.